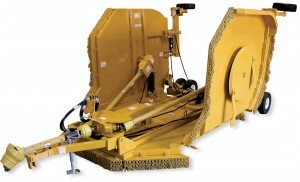 Hall Manufacturing has been producing hard-working brush cutters in the USA for more than four decades. 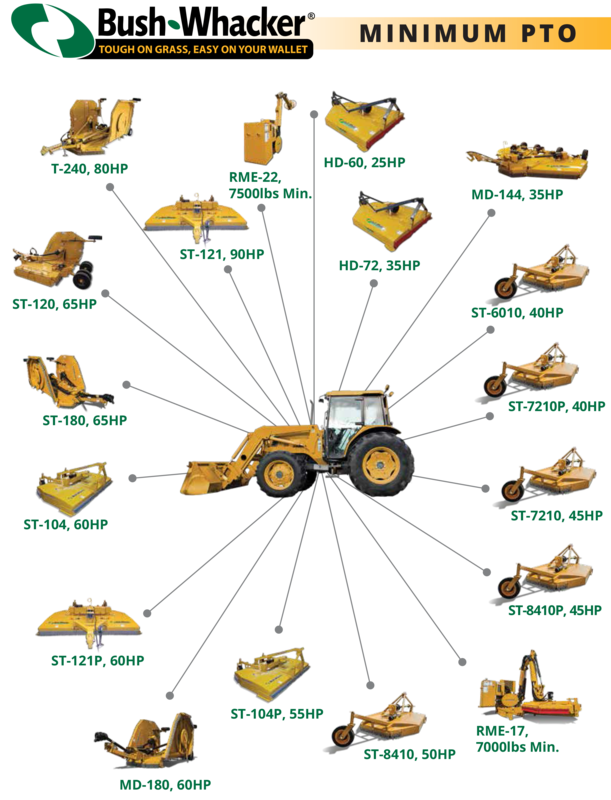 We pride ourselves on engineering and manufacturing only the most reliable, durable, and competitively priced brush cutters on the market. 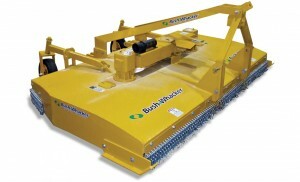 Bush-Whacker mowers have been the choice of the Department of Transportation for more than 40 years and is the choice of today’s farmer. 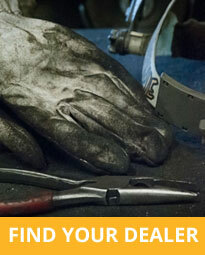 The ST-120’s smooth-top design is one of the most rugged cutters on the market today. 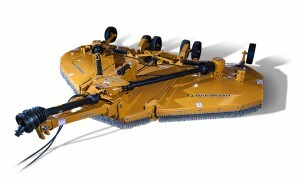 Bush-Whacker’s 20-foot Flex Wing Brush Cutters allow for more acreage cut per hour – a truly efficient machine for large jobs. 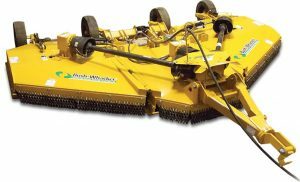 This easy to clean mower is one of the most sturdy medium duty cutters on the market today. 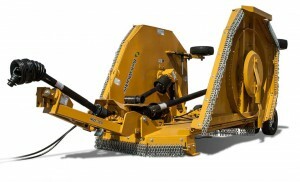 Featuring a dual-deck smooth top and a massive 250 HP gear box, these units are ready to cut brush up to 4” in diameter. This may very well may be the last cutter you will ever purchase. 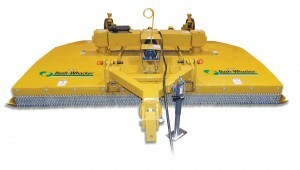 This 8 foot cutter is a great looking mower at an even better price! 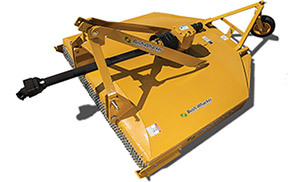 Its double-deck smooth–top design is the perfect unit for the farmer or right-of-way cutting contractor. With two spindle gearboxes, 250 HP, and longer blades, these rugged, heavy duty 10 foot brush cutters can handle any job you throw at them. And the smooth-top deck makes them easier to clean. 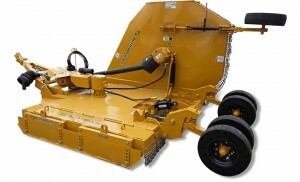 17-Foot Rear-Mount Boom Mower. 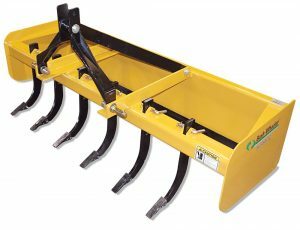 The cutting edge of versatility with all the quality, service, and dependability you’ve come to expect from a Bush-Whacker. 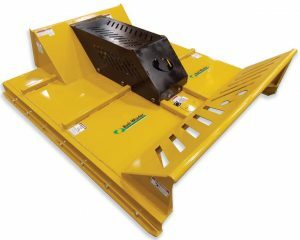 The Heavy Duty Box Blade is designed for rugged use by landscapers, farmers, homeowners and in light construction. 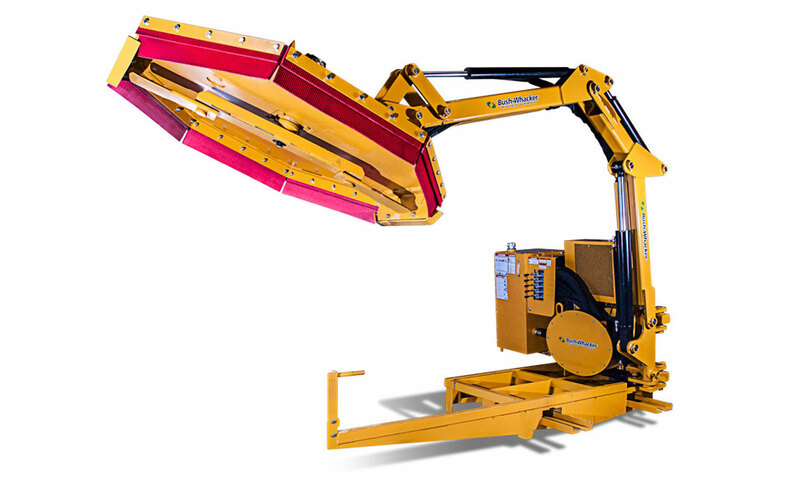 This 6 foot skid steer mounted brush mower that can take on the toughest jobs and clear cut standing trees up to 8 inches in diameter.